Will we be able to ride water beefalo? Will we? Maybe they could swim through the ocean? Or maybe we could have a beefalo powered boat. That'd be adorable. A swimmong furpile is too cute to pass up. As much as I know: We won't be able to ride Water Beefalos. 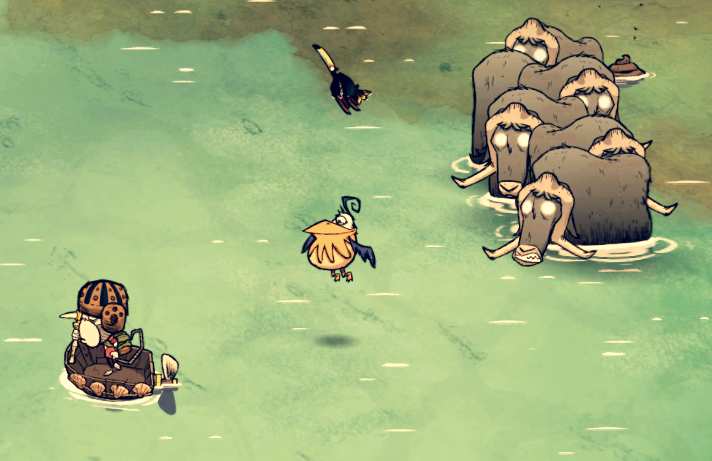 Taming a Water Beefalo would be useless because they can't swim! They're walking on the shallow water in the mangrove biome. You won't be able to move them over to your island by aggroing one and sailing to your island, they'll just stop at the corner of the biome cause the water will become too deep for them. 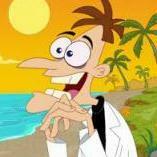 Even tamed they'll just stay on their island, fight off predators and produce 24/7 fresh poop. I'd like to see another kind of animal which can be saddled besides a Beefalo, for example a tamed Crocodog or a Seal similar to the Sealnado which can be tamed with fish and used as mountable animal in SW.